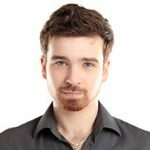 Apollo E Cigs is a well-known electronic cigarette company in the United States, however they have recently made a name for themselves right here in the UK. This should not be overlooked or understated as Apollo is an all-around fantastic company. You may have heard of them due to their incredible vape pen kit – the Endeavour. They also offer other excellent quality vaping kits. But, in all honesty, we believe they truly stand out in regard to their e-liquids. In fact, on their home page, you aren’t just met by e-cigarette starter kits as you would expect from any e-cig company. Rather, they give prime time position to their e-juices, and for good reason. The quality is superb, you have a wide range to choose from, their e-juice is made in the USA by trained professionals, and the flavour is simply out of this world – which is appropriate considering their brand name. Though Apollo’s starting mission is to explain about their starter kits, their primary focus is their e-liquids. Vaping isn’t just about a kit; it’s also, and especially, about the e-juice. Apollo quickly understood this, and it is for this reason why we see Apollo spend the majority of their budget on manufacturing high quality e-liquids. Not starter kits. Not vape pens. Not sub ohm kits. None of that. Rather, most of their efforts go toward their e-juices. All of their e-liquids are manufactured in a closed lab in California, USA. Also, here’s a fun fact. Most companies will have “trained professionals” making the e-liquid, but Apollo goes the extra mile. Apollo employs degreed chemists, which is different from a standard trained professional. They adhere to strict protocols throughout the entire manufacturing process which ensures that all of their e-liquids are contaminate free. Apollo even goes as far as saying that there is no other e-liquid facility like theirs. With the overall quality and oversight in place? We absolutely agree. Apollo’s e-liquid pricing is actually very competitive, which is impressive considering the high quality you are receiving. We were expecting to see a much higher price, so we were pleasantly surprised to see otherwise. Apollo offers either 10mL, 15mL or 30mL bottles of PG e-liquid. The 10mL bottle will cost you £4.95 while the 30mL bottle costs £12.95. Apollo also offers MAX VG e-liquid (which we will get to below) in 16mL or 30mL bottles. Prices range from £9.50 to £16.99 for these. When we saw that Apollo offers over 50 different e-liquid flavours, our jaws literally dropped. Most independent companies produce 10, maybe 15 different e-liquids…20 if they are really good. But over 50? Yes, we know that UK E Cig Store offers hundreds of flavours but they are a one stop shop selling other e-liquid brands. By Apollo offering 50 flavours, they are essentially setting themselves up for total dominance in the e-liquids market, especially when you take into account their unbelievable quality. 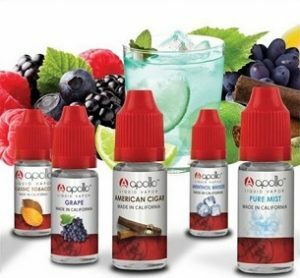 Moreover, Apollo offer both PG and VG e-liquids. That said, as mentioned above, Apollo offers 10mL, 16mL and 30mL bottles of e-liquid. Flavours Available: Classic Tobacco, Sahara, American Cigar, Turkish Blend, Tobacco Menthol, Tobacco, Triple Nickel, RY4, Pure Mist, Simply Tobacco, Menthol, Menthol Breeze, Green Apple, Cherry, Berry Blend, Kiwi Watermelon, Mango Peach, Strawberry, Baja Burst, Hemi Orange, Razzle, Grape, Watermelon, Melon Cucumber, Cherry Limeade, Cappuccino, Coffe, Pina Colada, Zen Peach, All Nighter, Banana Cream, Gingerbread, French Vanilla, Cinnamon, Candy Cane, Birthday Cake, Signature Series, American Pie, Green Party, Pink Nova, Imperial Milk, Fauxstess Cupcakes, Guava Lava, Red Dawn, Viva Las ‘Nanas, Funky Monkey, Miss Samoa, Lindbergh, Wacky Jacky. Overall, the flavours are simply outstanding and very accurately resemble the flavour they are trying to make. As we always say, flavour is a personal decision however we recommend RY4 and Razzle. As we mentioned in our Pure E-liquids review, we have yet to come across a major e-juice UK supplier that allows for the customization options that VaporFi gives their customers (VaporFi is a US based vaping company). However, Apollo goes the distance in regard to everything else. You have 50 different flavours to choose from. You can choose between 10mL, 15mL, 16mL or 30mL e-liquid bottles. They also offer both PG and VG e-liquid. The choices are endless with Apollo. Overall, you won’t go wrong with Apollo e-juice.